Should The Blackhawks Move Marian Hossa To The Third Line? 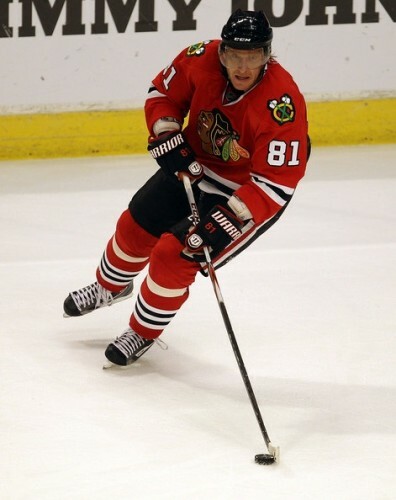 As we discussed earlier this week, the struggles in the last couple seasons have been frustrating for Marian Hossa. After missing the first couple months of last season because of shoulder surgery, he was a force on the ice through the playoffs and was a key component on the Stanley Cup winning team. He started this season on a pace that forced him into the early conversations for the league’s MVP, scoring seven goals in the team’s first seven games. But then the injuries started to take their toll, and Hossa will miss his 17th game in the team’s first 55 games tonight. It hasn’t been an easy campaign for Hossa, who went down with an undisclosed injury during a 3-1 win over the Kings on Oct. 27 and has never been the same since. He has only four points in his last nine games, and despite his hot start has only scored five goals in his last 31 contests. Meanwhile, other players are emerging on the roster as potential offensive forces. We’ve already spoken about the development of Bryan Bickell, who has 29 points (13 goals, 16 assists) and a strong plus-11 rating this year as a young power forward. Troy Brouwer, for whom we’ve been barnstorming all season, has 31 points (15 goals, 16 assists) and is among the NHL leaders in hits without piling up penalty minutes (only 27 PIM so far). With the acquisition of versatile forward Michael Frolik, who is coming off back-to-back 21-goal seasons, adds another sniper to the mix on a talented, young roster. The point is, coach Joel Quennelle has plenty of options up front, and the team hasn’t seen a huge dropoff while Hossa has been out of the lineup; the Blackhawksare 20-15-3 with Hossa, and are 8-7-1 without him. Whenever Hossa returns from the flu, it might be time for Quenneville to consider shifting his lineup, ignoring the payroll, and moving Hossa to the third line for the rest of the year. 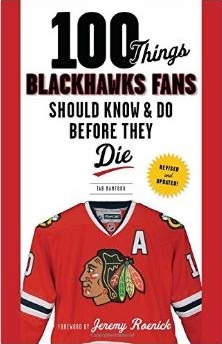 For the long-term success of the Blackhawks, and the health of Hossa, it makes sense to limit his minutes. Hossa has averaged almost two full minutes less on the ice in the 20 wins in which he’s played (18:31) than in the 18 losses (20:24), and his value on the struggling special teams is critical to any postseason success the team hopes to have this year. It appears the Hawks have moved back to the winning formula from a couple years ago, skating Patrick Sharp at wing with Jonathan Toews and Patrick Kane. Brouwerhas produced on every line this year, and can skate with anyone on the roster. The same can be said for Bickell, who skated with Toews and Kane in the first round of the 2010 playoffs and has outscored Tomas Kopecky despite playing three fewer minutes per game this year. While the concept of skating one of the most talented players on the planet on the third line isn’t conventional, cutting Hossa’s ice time and might help him dress in a higher percentage of the Blackhawks’ remaining games. What’s most important right now for the Blackhawksis wins, and they’re most likely to win games with a healthy Hossa. It it takes him skating 16 minutes per game instead of 18 or 20, so be it. I like the idea of Hossa on a line with Bolland. I remember Dave having pretty good chemistry with Havlat. Not only was that line responsible defensively, they were also pretty efficient offensively.